My email address is not secret. Many of you send questions to me once in a while. Most ask for information or help. Others wonder what the hell I’m doing. I like the questions, so if you need information or have a question about a project I’ve built, please contact me. Below are questions and answers that I thought were good information that should be passed along. I have started on a slant front desk based on the New England Secretary in one of your books. I have one question as I prepare the sides; what is the distance from the top of the writing surface to the start of the slant? It looks to be somewhere between 3/4″ and 1″, but I am not sure and it is not shown in the book. That’s a question I get a lot. The answer depends on the thickness of your lid – more exactly, on the thickness of its rabbeted edge. I have a year old copy of your “Building Period Furniture” that now looks like 10 year old copy (well used). I have two block fronts about 90% complete, two secretary bottoms about 50% complete. I like to build two at a time. While I am waiting for some more mahogany I am drawing the bench rod for the Pennsylvania tall case clock. To keep proportions as perfect as they look, I am wondering what is the dial size you used in this clock and who is the supplier. Looking at suppliers here in the UK the the largest dial seems to be 280mm x 395mm. which seems too small. I bought your “Finishes that Pop” DVD just before Christmas. Great informative DVD. I’m glad to see your book getting such use. You are taking on very nice projects. I enjoyed building them, as well. You are correct on your assessment of the dial sizes. Your dials are undersized as to what I use and what is a common size here in the States. The dial for my clock was 12.5″ wide (317.5mm, if my conversion is correct) by 17.625″ tall (447.675mm). 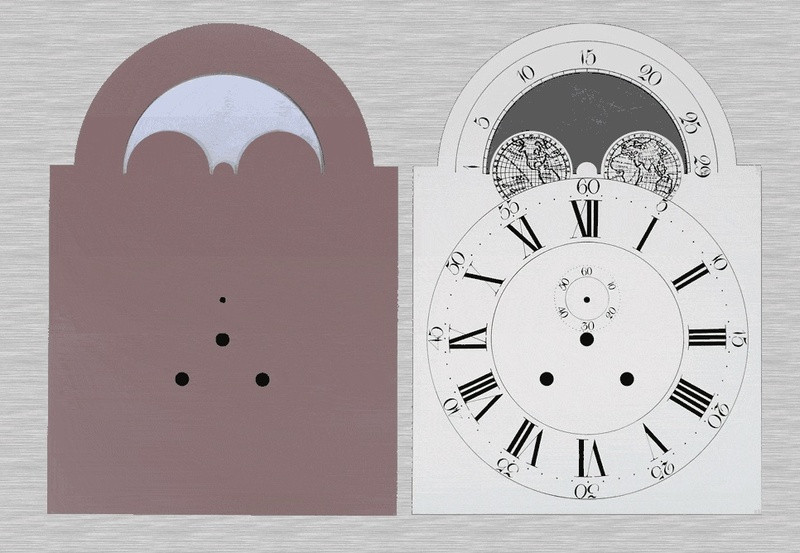 The movement I used for the clock in the book was produced by David Lindow (Click here to visit his web site). You can get more information, movements and dials from Mike Siemsen’s web site (Click here). I am familiar with your aniline dye/shellac finish for a deeper tiger maple finish. I always seem to get a finish that is too shiny. I noticed that you recommend a ” dull-rubbed” lacquer. Is that the name of the kind of lacquer, a rubbed out lacquer or what? When using shellac, I generally use either of two options to knock down the sheen. I either rub-out the finish using #0000 steel wool (sometimes I use wool lube to make the work a little easier), or I topcoat my project with a pre-cat lacquer from Sherwin Williams with a dull-rubbed effect sheen. The low sheen finish is made so by adding flattening agents to the lacquer. 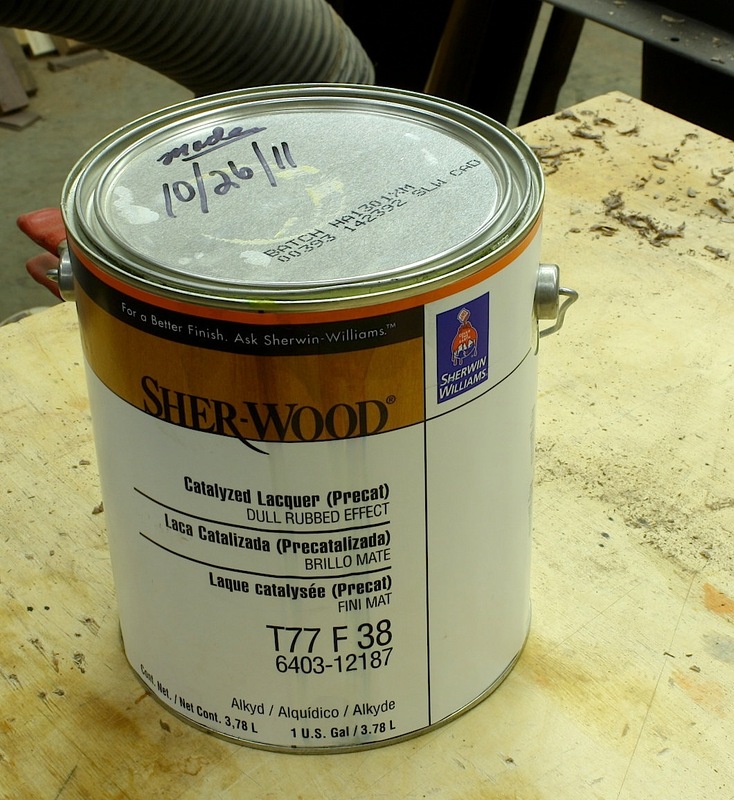 Sherwin Williams sells this product through its commercial divisions, not in the regular paint stores. 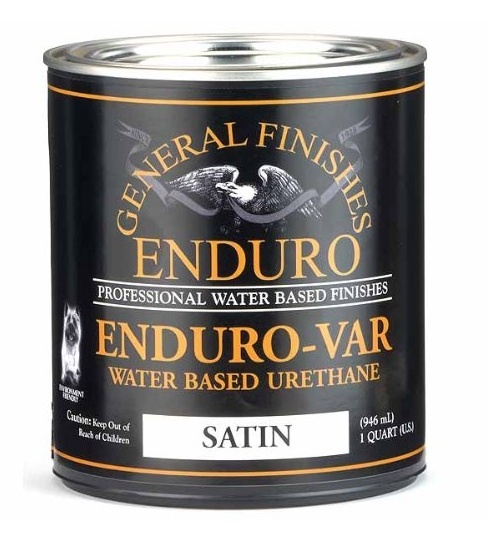 Another option that I am just beginning to explore is to use a water-based urethane in a satin finish, such as General Finishes Enduro-Var Satin. With this product, you apply a single coat, then after it’s dry lightly rub with steel wool. I am a home shop woodworker who makes reproductions of American Colonial furniture. I am having trouble finding a way to make 1/16” vein line for string inlay. Is there a 1/16″ router bit available or how else does one prepare for a 1/16” string inlay. I have previously used a 1/8” bit to inlay 1/8” string inlay and that worked very well, but in some pieces a 1/8” string inlay is too thick for the piece at hand. I bought two of your books and have enjoyed studying them and using some of the demonstrated techniques on the pieces I have reproduced. Several of the pieces I have made were from Lester Margon’s 1949 book “Construction of American Furniture Treasures”. It’s a great hobby!! I’m glad that you found a few ideas in my books to make woodworking better for you. I, too, have spent many hours looking through Mr. Margon’s book – it’s a great woodworking book. There are 1/16″ router bits to be found. If you visit inlaybandings.com there is a section that has router bits used for inlay work. The site also sells inlay and banding in many different configurations. I especially like the router bits because they are longer than many other 1/16″ bits available – as such, they reach past patterns and get to the workpiece. 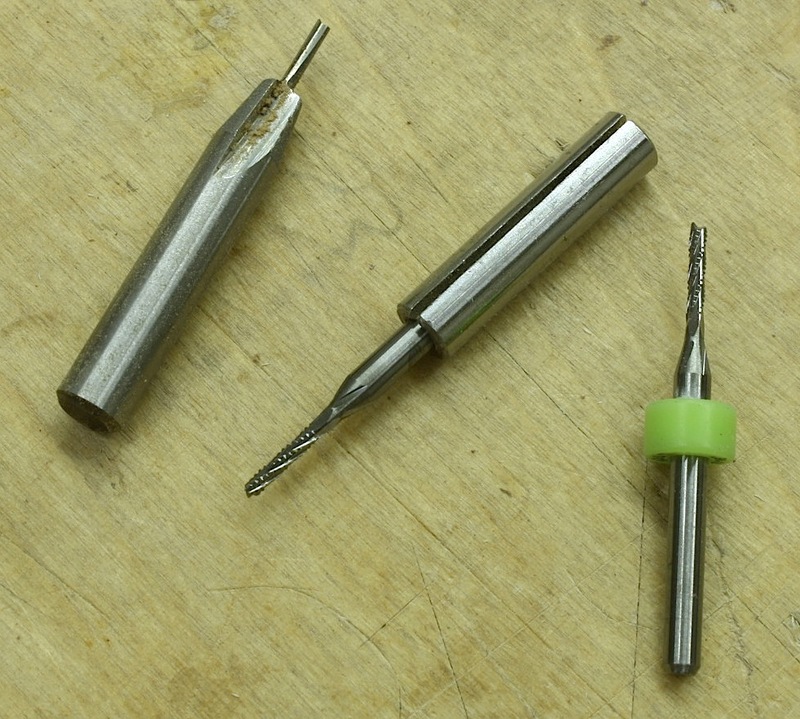 These bits have an 1/8”-diameter shank, so you would also need to purchase a sleeve (shown in the middle) unless you have an appropriate collet for your router or are working with a hand-held rotary tool such as a Dremel. Bosch has 1/16″ bits, too. 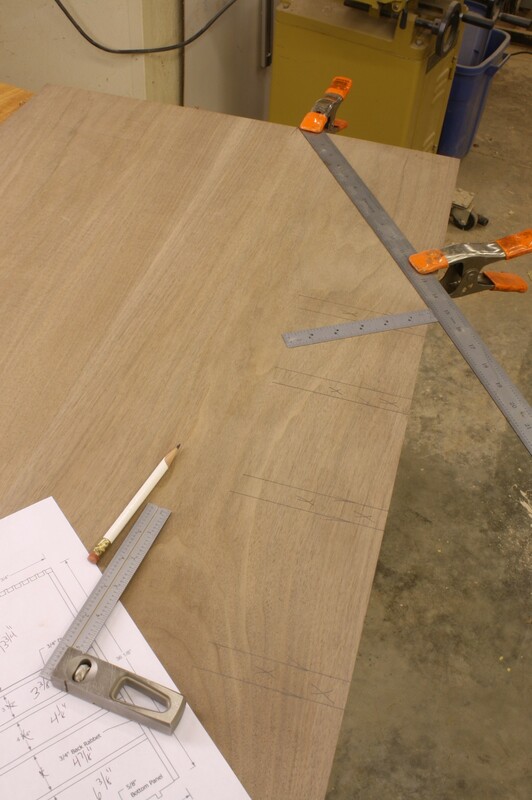 These bits have shorter cutting lengths which could require that you set-up differently in order to use them for inlay as it is more difficult to reach past patterns. The Bosch bit has a 1/4”- diameter shank. I would suggest that you pick up a couple bits when and if you order. Bits this small tend to break more easily than larger diameter bits. If you have additional questions, please contact me again.